Our emphasis is in the shipping and handling of high-value, heavy, and over-dimensional freight across the United States. From everyday pickups at the port to massive plant relocations, we have experience in handling projects of all kinds and sizes. We have built a reputation for employing some of the most professional, reliable, and safe workers in the specialized industry. Critical shipments deserve well-maintained, dedicated trucks and trailers. This concept has driven us towards what we’ve become known for today; a fleet with equipment that looks as new as the cargo it hauls. We provide equipment free of rust, debris, and defects which is a must when handling brand new products of immense value and size. 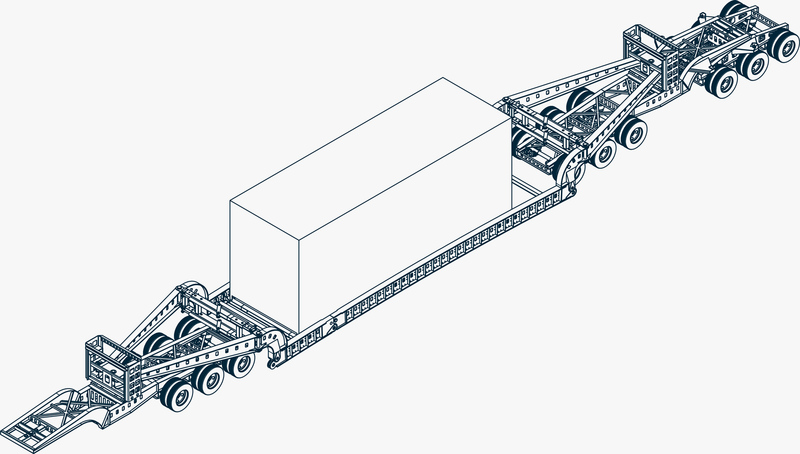 If the cargo you are looking to ship needs a specialty trailer, there is a good chance we have it in our fleet. If we don’t, we have the capabilities to build one in-house. Big & Tall, We’ve Hauled it All. Whether you are in need of a budgetary quote to win the job or you are ready to ship tomorrow, our goal is to make sure you get the pricing you need back quickly. Most importantly – all rates you receive from us will be all-inclusive unless stated otherwise. No extras. No hidden costs. The nature of oversize shipments can sometimes create anxiety for the shipper. Have no worries; your are in good hands. Our dedicated staff with be there with you every step of the way to explain all of what is happening. This includes anything from the current location of your shipment to a detailed explanation of travel restrictions.